Massage like a Pro! Penetrate muscles with little effort. 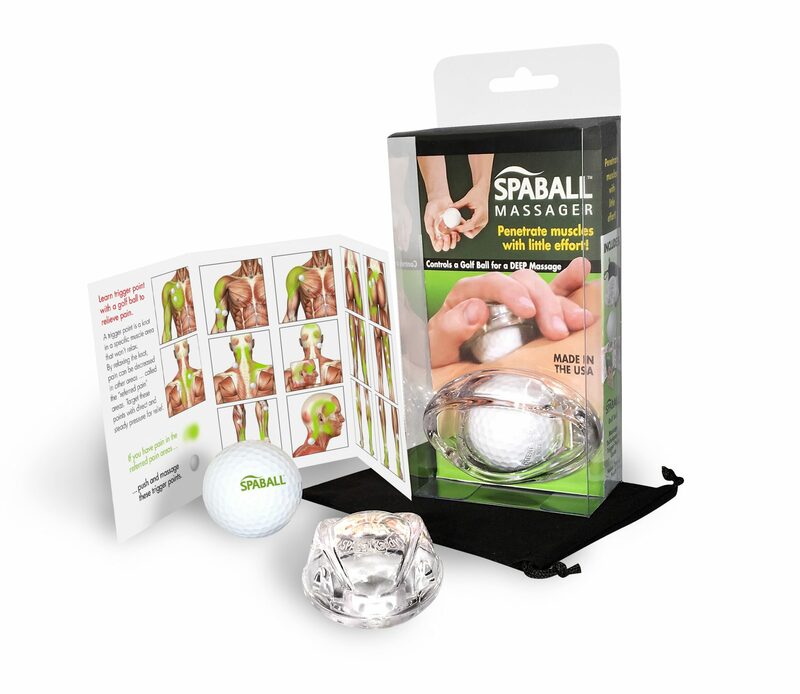 The SPABALL can also be used with 40-42mm quartz crystal or Jade spheres. 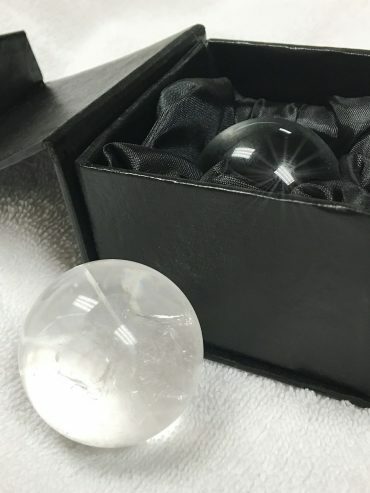 The spheres closest to the size of a golf ball (42.7mm) work the best. They can be warmed first by wrapping in a hot wet towel before use. Add lotion or oil for a SMOOOOTH rolling feeling! A trigger point is a knot in your muscle that won’t relax. It’s a specific area IN the muscle. If it relaxes it can decrease the pain in OTHER areas … called the “referred pain” areas. Although the pressure of a tennis or lacrosse ball are nice to use on the upper back muscles they are just too big to work the trigger points. The golf ball is the perfect size and hardness to target the trigger points! This shows you some trigger points and their referred pain areas. If you have pain in the green area shown here you can work the trigger points in the area where the golf ball is. 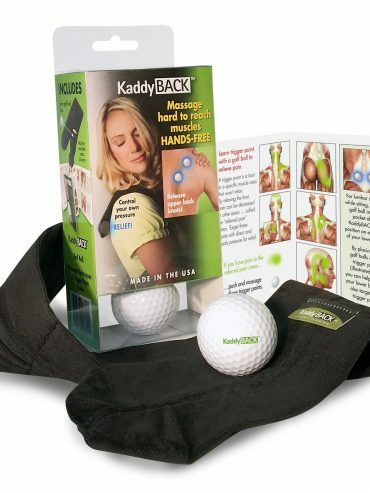 The Golf Ball Massage is one of my favorite new discoveries! It’s fluid and relaxing, but still therapeutic. Not only did I enjoy Heather’s techniques with the SPABALL and golf ball, but I use it nightly on my high school football player son Hunter! He loves it and so do I!